Earlier this year I shared that my goals for 2014 are to live a more balanced and organized life. In this house, with 4 kids and 2 tired adults, that’s no small feat. It seems every time I turn around there’s another pile of dirty dishes to wash, another spill to soak up, and toys multiplying like rabbits. Seriously, where do all these toys come from? 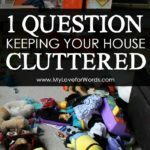 I recently had the epiphany that Clutter is like a Koi Fish, and I now know what I need to do. I need to simplify. The only way I’m going to be able to achieve balance and organization that lasts longer than a few fleeting moments is to purge our house of the unnecessary. 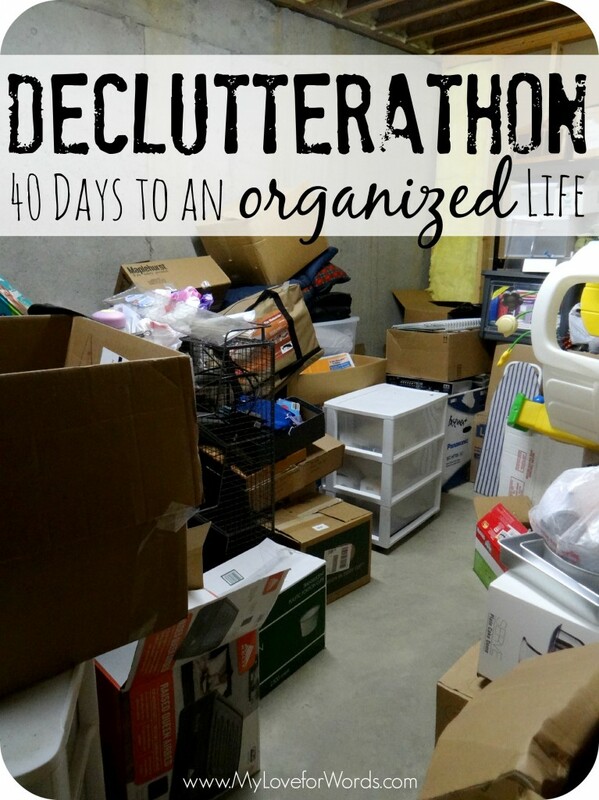 I’m on a mission to get this house and my life organized over the coming weeks by completing the 40 Bags in 40 Days challenge or what I’m affectionately calling my declutterathon. Yes, that’s a picture of my actual basement storage area… and there’s a lot more where that came from, unfortunately. 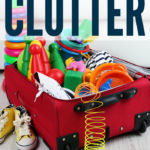 Anyone who has struggled with clutter knows that tackling a houseful is not a sprint; it’s a marathon, and that’s exactly how I’m going to treat this. Instead of mile-by-mile and step-by-step, I’m going to take this room-by-room and item-by-item. That’s the only way I’ll be successful. If I look at my entire house and feel like I have to organize the whole thing right now I’ll be so overwhelmed that I never start. Bite sized goals definitely work best for me. I first read about 40 Bags in 40 Days on Clover Lane. It’s a challenge to get rid of 40 bags of stuff over 40 days (coinciding with the 40 days of Lent). I attempted the challenge in 2013, but I only got rid of 7 bags of stuff. The good news is that’s 7 bags more than I would’ve gotten rid of, but I fell way short of my 40 bag goal. This year, I’m going to reach at least 40 bags, and I’m going to be more organized and methodical in my efforts to make sure I’m successful. I’m going to focus on one space at a time and work my way through this house once and for all. I’ll also have lots of pictures to share over the next few weeks so I beg you, no judgy. It’s about to get messy up in here. 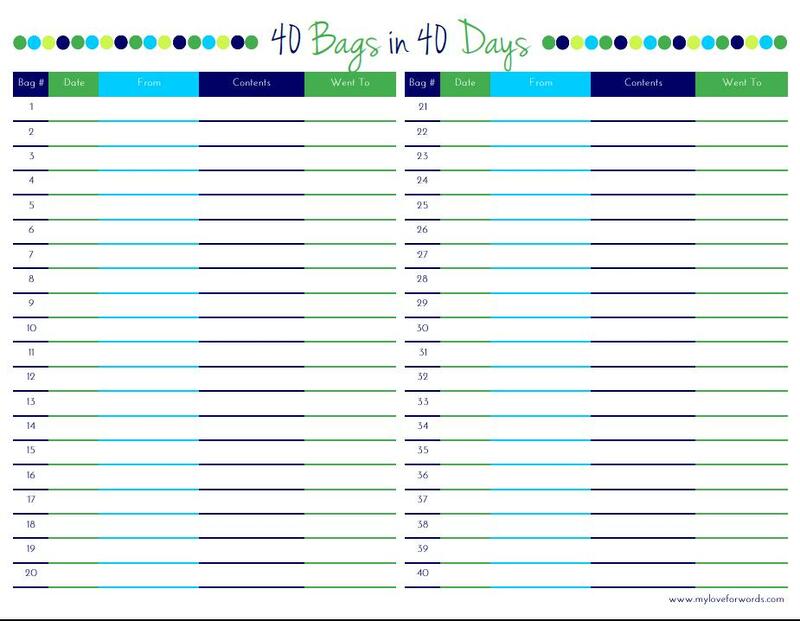 I’m also going to reuse the free printable I created last year to help me stay on track. Tomorrow, I’ll be breaking my house down into zones and 5 Questions that will Help you Declutter over the next 40 days. 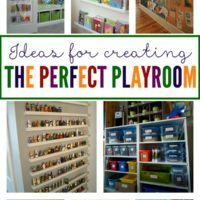 Every family is different, of course, but hopefully these ideas will help you think of areas in your life and house that you can focus on too. So, who’s in? Who wants to join me? Marathons are easier with others to encourage us (or so I’ve heard. The only place I run is after the ice cream truck). I know I’m going to need company and motivation so let’s tackle this declutterathon together! I am totally in! I don’t know if I have 40 bags worth, but maybe I will surprise myself! I need to make room for what I use and I am getting frustrated that I have almost destroyed some very pricey things that I need because of things I don’t need. Let’s do this! If you don’t have 40 I can share some of mine to make up the difference. 🙂 I’m excited you’re on board! Count me in! I have been trying to get on top of my clutter for months now, but I think every time I get rid of some stuff, more stuff shows up in its place. Ugh! I swear the same thing happens at my house, especially with kids toys! I love this idea! We live in a small 2 bedroom apartment so I don’t know that we have 40 bags worth of stuff to get rid of. But I love the idea of going through each zone and trying to get rid of anything we can. I hate feeling cluttered! 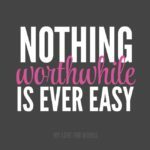 This was such a great post for me to read today! I found your blog on the linky party at LivingWellSpendingLess.com. I will definitely be coming back to read on a regular basis now! Thanks so much! I completely understand. Sharing the before pics is the hardest part! I’m doing this too! I did my first day, cleaned out my powder room…… and then got distracted and painted it the second day…. need to get back on track today! This 40 bag declutter is a great idea. I have been doing something like this but with boxes. I have taken out at least 5 boxes of scrapbook stuff and craft stuff from my crafting room. I have been donating it to my daughters playschool. I still have two boxes of things to sell online. This is a great way to enjoy your home and surroundings. I also love to see my floor as months before there were just piles of things. Thanks for some extra inspiration to keep moving. I love that you’re donating your unused supplies to your daughter’s school. I’m sure they’re really appreciate it! This is a great plan, my whole house is full of clutter and I feel like if I get rid of it all of my daily chores would be so much easier. Not sure if i’ll manage 40 bags but I love the idea of using lent to de-clutter because then you can do it every year. 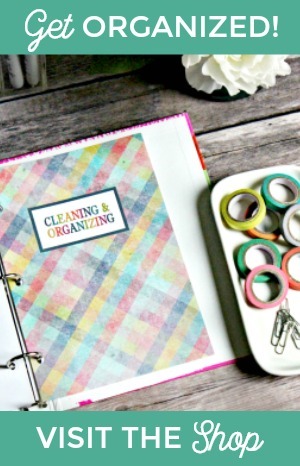 I love this idea–purging a little at a time can make such a difference! Thanks for linking up to the Do Tell Tuesday party. Hope to see you again tonight! Thanks for the inspiration. I’ve been trying to get decluttered since before we brought our baby home from the NICU, but I’ve stalled a bit for the last few weeks. Also, thanks for linking up at Whatever Goes Wednesday last week. 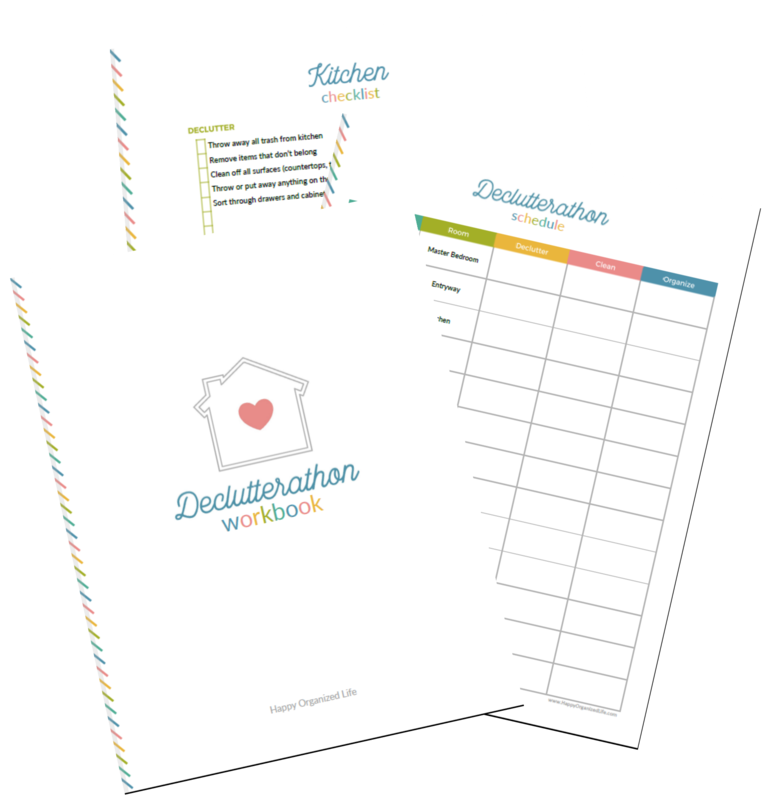 This was the most viewed link, so we’ll be featuring your Declutterathon and printable at tomorrow’s party. Hope you’ll stop by and party with us again! How exciting! Thanks for letting me know, Miranda, and for hosting. 40 bags in 40 days! Great idea. Decluttering would help everyone I think. Thanks for linking up to tips and tricks! Hmmm. I think if we threw away 40 bags of stuff from our home we wouldn’t have anything left…unless they were shopping bags from the store! Ha! It’s a great idea though and certainly an interesting way to clean out the stuff you don’t need! 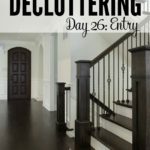 I need to do the Declutterathon: 40 Bags in 40 Days Challenge. We moved last summer in with some friends and we had to put our stuff in storage. I got my stuff out of storage a few months after we moved and brought it to the house where were living and I put in a back room that was being used. Everytime I go out there I see lots of clutter. Oh what a mess. It’s organized but I need to just get rid of stuff. I started going through last fall and fell off of the declutter wagon. Unfortunately, I did’t get rid of as much stuff as I wanted to so it looks like I need to go through it again and start getting rid of stuff. I really need some motivation. I’m in! 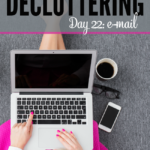 I have been in the same and keep vowing to declutter… I’m in!! A great challenge I will happily accept!!! Yay! I’m glad to have you on board. The challenge has grown from 40 days to 26 weeks (slight growth there lol), but I think there’s a much higher likelihood of success with the extra time built in. I just found you and your Decluterathon. You have some very good ideas. As I too have a serious issue with clutter. It is mainly my problem. Thank you so very much for being transparent and honest with us. 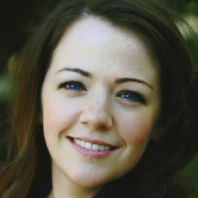 I am going to try and use the information that you shared with us to make our lives more simple and manageable. We are empty nesters and it seems that we have more stuff now than when our girls were in the house. Thank you again for all your information. Blessings to you! Thank you, JoDee. 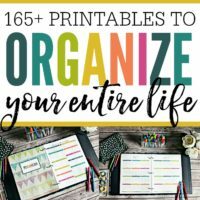 I hope some of what I’ve written helps you in some way, and you’re able to get things decluttered soon. 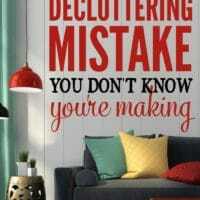 Ithink you r spot on with what u said my craft room isnot so much filling and giving away abag as organizeing it .wish i.cd aford all the tidy trays ikea do .Money no object it wd b tidy now but all those containers cost lots of money.so.i guess it will b in avon boxes (used ones of course). Organizing boxes can be expensive! DIYing your own solution sounds like a great idea!